The 1986 Sabah riots occurred between March and May in various locations around the state of Sabah, Malaysia. 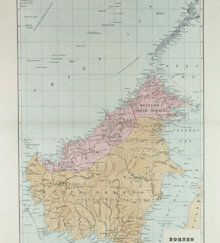 The riots centred mainly in the capital Kota Kinabalu, as well as in the towns of Tawau and Sandakan. On 12 March, seven plastic explosives were detonated in Kota Kinabalu. A bomb was also detonated in Tawau. At least five bombs exploded in Sandakan killing one newspaper vendor and injuring a senior Police Field Force officer. The riots resulted in the death of 5 people. It was also suspected that the riots were triggered by the losing parties including BN to bring forth a proclamation of emergency to justify a takeover by the federal government similar to those which happened in 1966 in Sarawak and 1977 in Kelantan. PBS later sought to have snap election because of political manoeuvring causing PBS representatives to defect. Malaysian Prime Minister Mahathir Mohamed also tried to negotiate with PBS to form a coalition with BN in return for peace in the state. Finally the election was held on 4 and 5 May 1986. PBS won again and this time with a bigger margin. A documentary on the 1986 riots was created by Sabahan film-maker Nadira Ilana released in 2012 called The Silent Riot. The film emerged as one of the winning proposals for the Freedom Film Fest (FFF) 2012. Chronicle of Malaysia, Editions Didier Millet (2007). "1986". ↑ Kalimullah Hassan (18 November 2007). "OPINION: Reforms yes, but not through violence in the streets". New Straits Times. Archived from the original on 21 December 2007. Retrieved 18 January 2008. ↑ Crossette, Barbara (1 October 1987). "Kota Kinabalu Journal; With Houses on Stilts and Hopes in Another Land". The New York Times. Retrieved 18 January 2007. 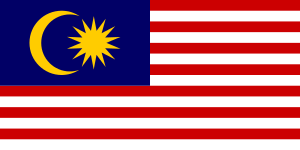 1 2 "Malaysian Rules an Election Is Needed in Embattled State". The New York Times. 29 March 1986. Retrieved 8 March 2009. ↑ "Nizar Not First To Refuse To Quit". Bernama. 5 February 2009. Retrieved 8 March 2009. ↑ SUHAINI AZNAM (22 June 2008). "Is snap polls the answer?". The Star. Archived from the original on 8 May 2009. Retrieved 8 March 2009. ↑ "Malaysia – Pilihan Raya – Pilihan Raya Umum Sabah ( 1986 )". Archived from the original on 8 May 2009. Retrieved 8 March 2009. ↑ "Screening of film on 1986 Sabah riot Oct 27". Borneo Post. 25 October 2012. Retrieved 5 December 2012.